You may remember reading about my mountain flying training earlier this year. 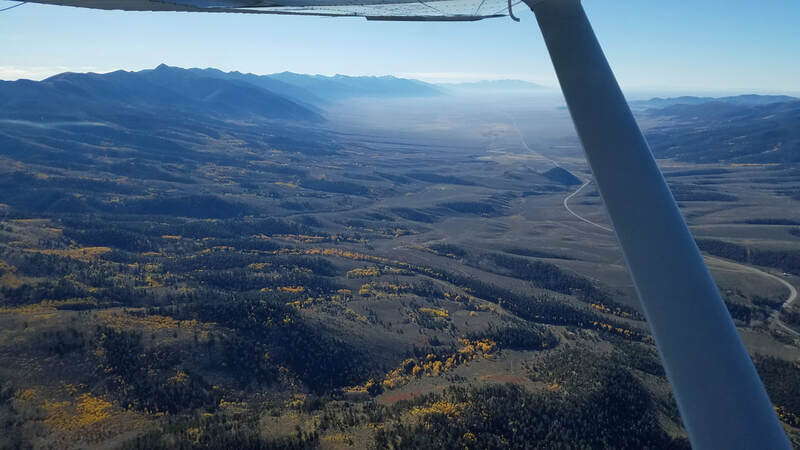 Well, October 15, the “end” of Colorado’s best mountain flying season, is approaching so I had to take advantage of another beautiful morning to fly before hibernating my “newly” learned skills until next year. This time, the route was not well defined as the forecast for high winds and turbulence was very present for the early afternoon. Instead, we decided to be flexible and just go “check it out,” with the mindset that we would turn around at the first sight of bad turbulence. 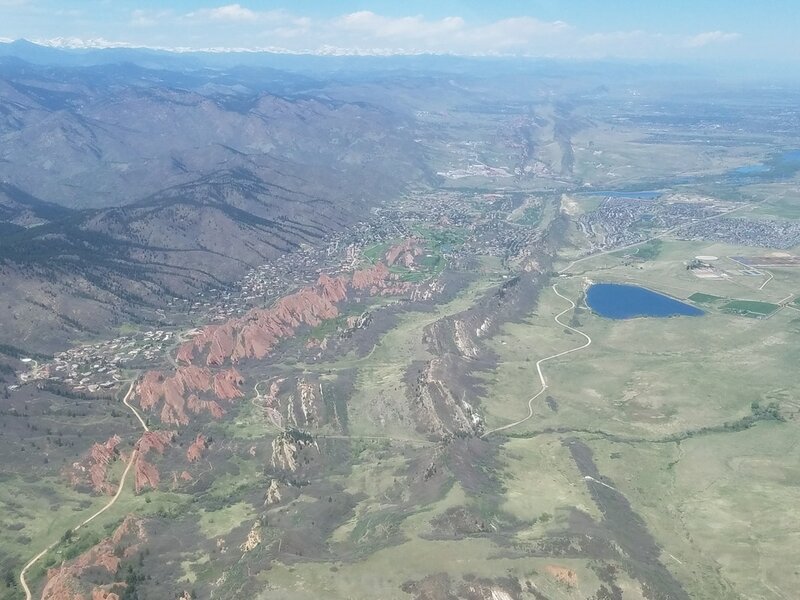 We ended up flying a loop from Front Range (or FTG, shown above with the Rockies and Denver International Airport in the background) to Gunnison and back around. 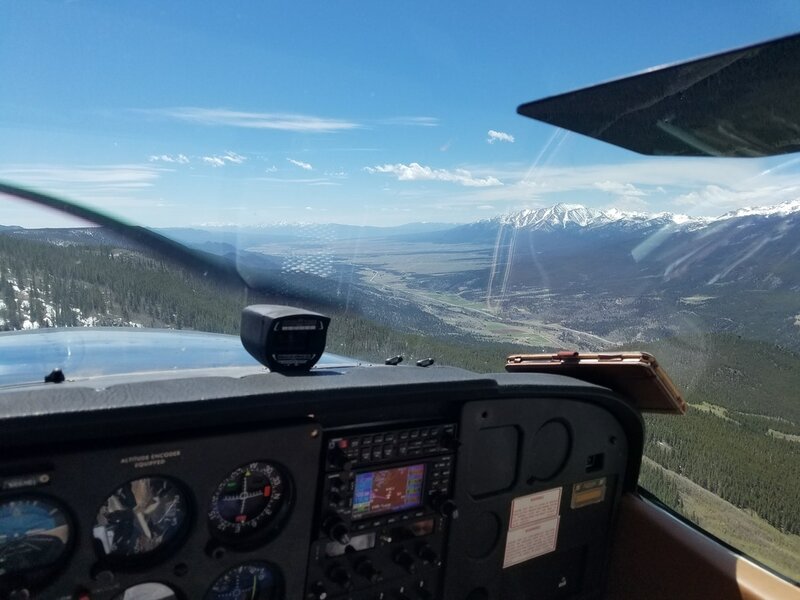 From FTG, we flew by Devil’s Head Fire Tower southwest of Castle Rock, over Cheesman Lake, right over Harriet Alexander Field Airport (KANK) in Salida, south of Monarch Pass, and around towards Gunnison. 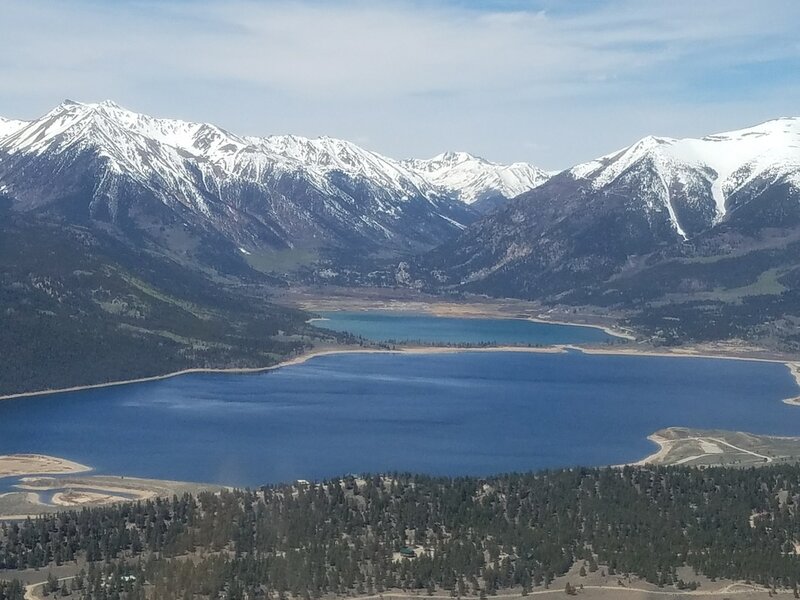 From there, we flew over Taylor Park Reservoir, up Cottonwood Pass and down towards Buena Vista before starting to head back directly towards FTG. 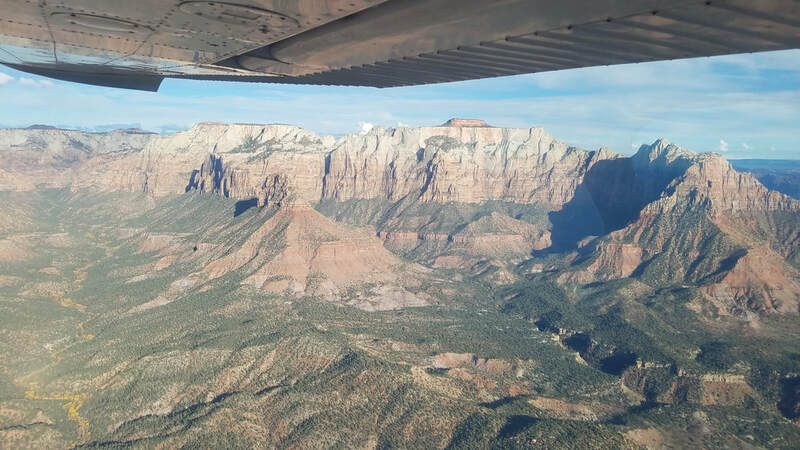 This flight was intended more for sightseeing than training so no landings were made along the route to ensure we got back to lower ground before the winds picked up causing moderate turbulence. 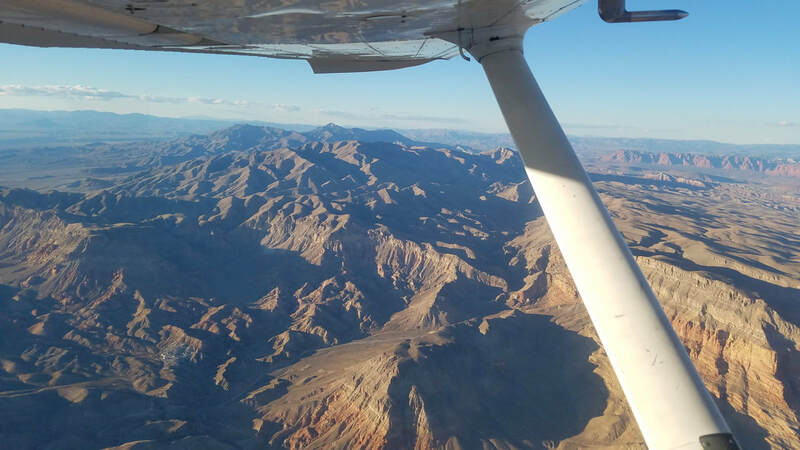 Even though the flight was not necessarily meant as a training flight, we, GA pilots, always have room for improvement and learning or experiencing something new. This flight was no different. Two pressure fronts, a cold and a warm, came close to each other at about the mid-point of our flight (the picture below shows that day’s current surface analysis chart right after the flight). 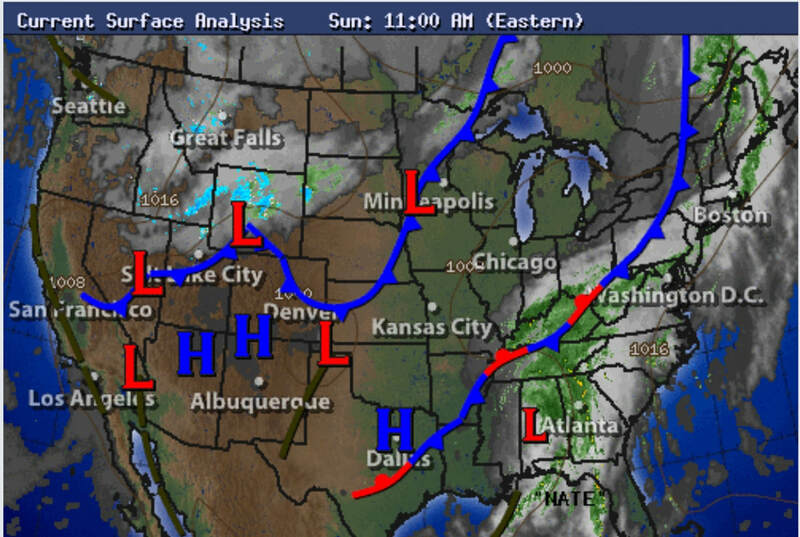 In meteorology classes, we learn that cold fronts and warm fronts cannot mix or collide because of the difference in temperatures and densities. Warm air, being lighter, will usually be pushed atop the colder air. The air cools as it rises and the water vapor in it condenses. Precipitation, clouds and storms can be found in these scenarios. 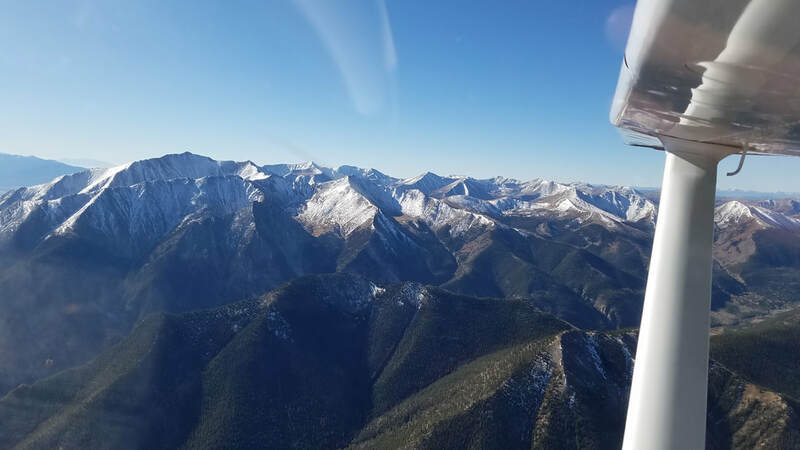 Fortunately, the formation of any type of visible moisture was not forecasted for the duration of our flight; however, the next day, on October 9th, almost the entire state of Colorado welcomed snow - the first snow of the season for Denver. But, what we did experience was quite interesting! Upon reaching the mid-point of our flight, our altimeter setting went from 29.77” to 30.21” of Hg in a matter of seconds (ok, maybe a few short minutes) between two nearby weather stations. Do you know what that meant? A 400’+ difference in altitude! Wow! I had noticed a big altitude discrepancy between my indicated altitude and ForeFlight’s (my iPad’s) altitude but which one was accurate?. I know the source of an altimeter’s information and how it works. 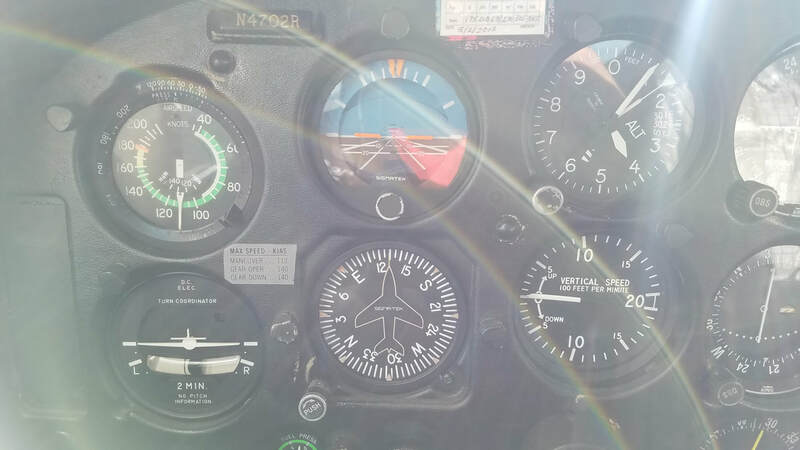 An altimeter measures Outside Air Pressure (OAP) from the static source which gets converted to an altitude and the setting obtained from ATC or weather stations corrects it for changing air pressure. After manually adjusting the altimeter with the setting from the next weather station, it read correctly and ForeFlight was dead on, accurate, the entire time. Good to know! I assume ForeFlight must be automatically inserting the latest altimeter setting into the application since I had an ADS-B In unit connected to it. ​In the mountains, when you already don’t have too much clearance from the ground as it is, a 400'-500’ difference in altitude is a huge difference. It did not present a safety concern for us because we were flying VFR in VMC conditions and we judged our altitude based on charts and looking out the window. But, can you imagine if we would have been flying IFR in IMC conditions? Would we have noticed or picked up (from a weather station) the large change in pressure before it was too late (causing a Controlled Flight Into Terrain or CFIT accident)? 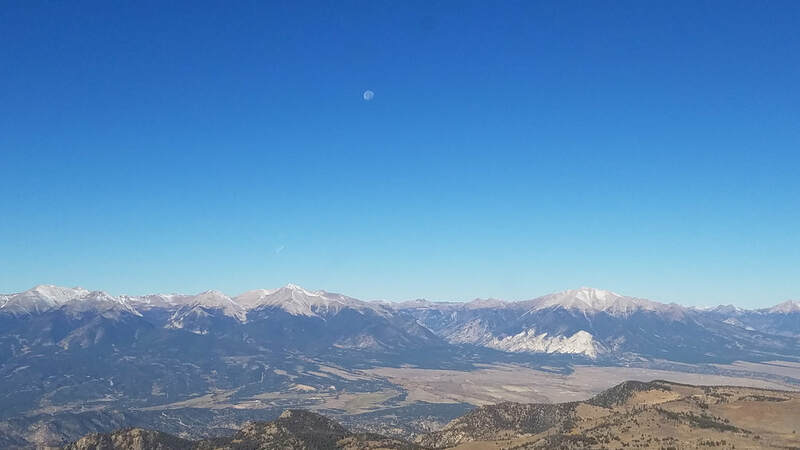 I, once again, want to thank the Colorado DOT and, in particular, the Division of Aeronautics for installing and maintaining wonderful AWOS stations on top of critical mountain tops/passes throughout the state. They are not only convenient and “nice to have” but can be lifesaving as well. 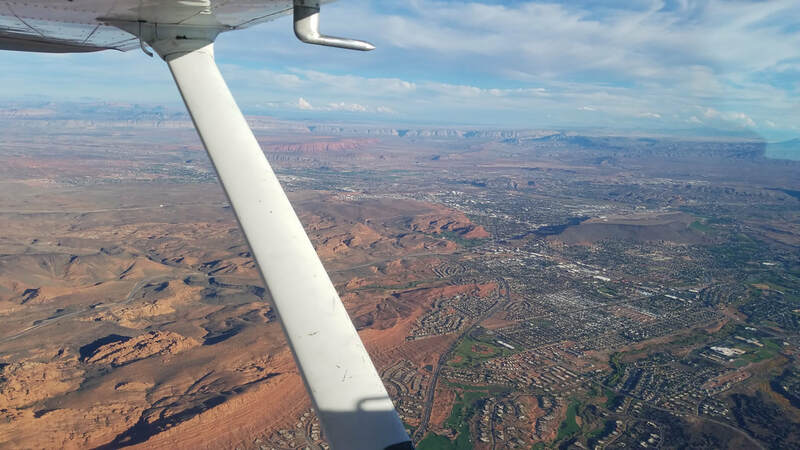 One other thing that is quite interesting and that we need to pay attention to when flying at high altitudes is the difference between true airspeed and indicated airspeed. Early on in our flight training, we learn that True Airspeed (TAS) is Indicated Airspeed (or IAS, what the airspeed indicator in the airplane shows us) corrected for altitude and temperature. At sea level on a 15°C day, IAS will be the same as TAS. However, as the temperature or altitude increases, the air density will decrease, causing the IAS to read lower than TAS. A good rule of thumb to approximate the difference between IAS and TAS without looking at specific temperatures, a chart, or a calculator is to increase IAS by 2% per 1,000’ increase in altitude. 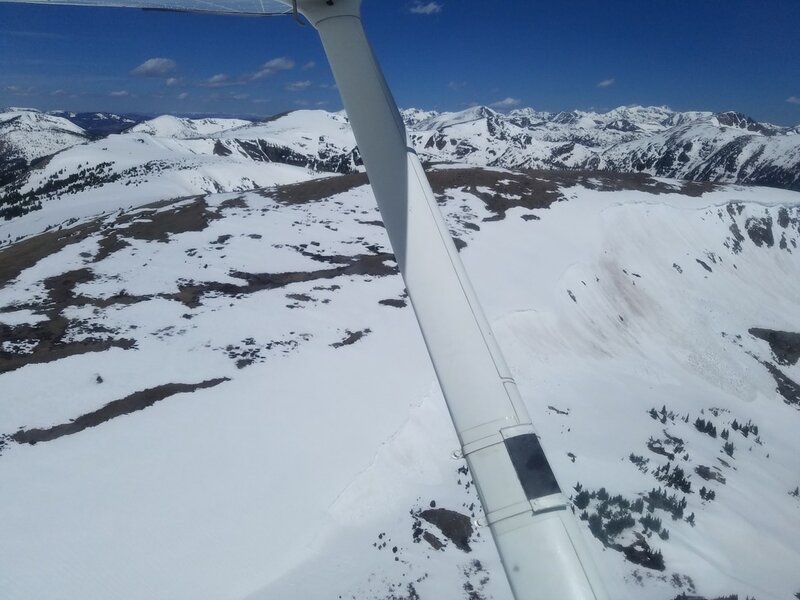 At one point in the flight, when going over Cottonwood Pass (the one between Taylor Park Reservoir and Buena Vista as I’m told Colorado has different passes with the same name), we reached 14,000’ to clear it. Our indicated airspeed was showing 110 kts while our true airspeed was 28% more or 140 kts and our ground speed reached 173 kts. ​Yes, I had to take a picture of the speed and altitude. I mean, c'mon, how often we do see that!? Hardly never for the speed and, this time, I climbed a 14er without sweating. And don't mind the helicopter symbol although it would be pretty sweet to see that speed (even if ground speed) in the R-22 I normally fly. As for the rest of the flight, it was beautiful as always and surprisingly very smooth. Those Rocky Mountains sure are beautiful, especially now that they have already received some snow and the fall colors are still very much at play. Pikes Peak on the back, left and Devil's Head area on the front, right. The Devil's Head Fire Tower and the stairs to it can be seen above. I was told this landscape was formed by glaciers. Quite interesting and different, huh? 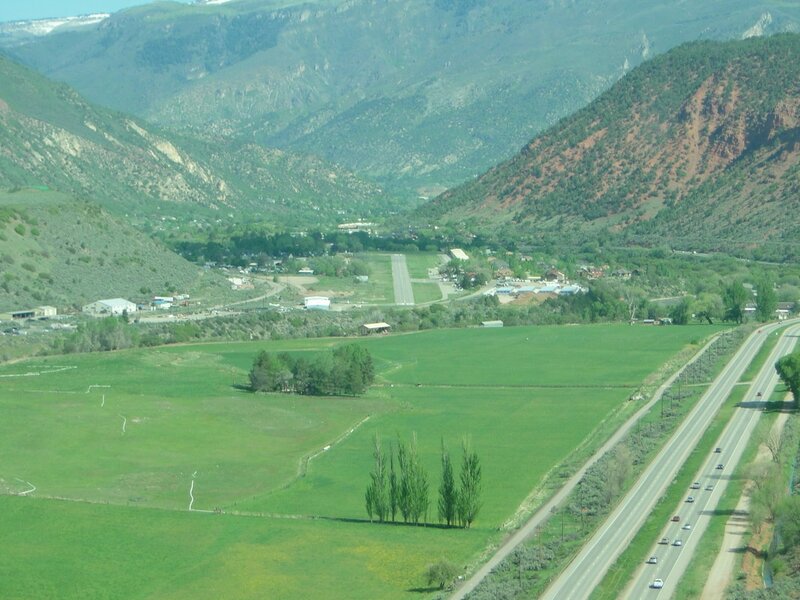 Harriet Alexander Field Airport (KANK) in Salida. It's on a good looking mesa, reminding me of Sedona a bit (except for the red rocks all around). 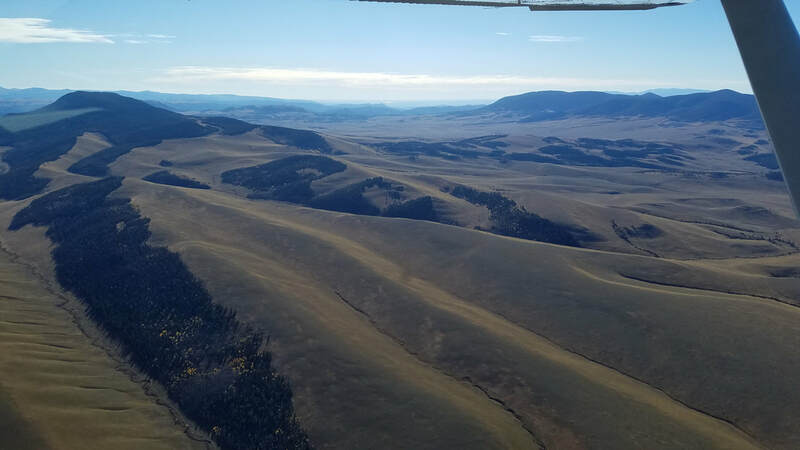 Colorado's popular Aspens are very pretty this time of the year and sand getting blown towards the Great Sand Dunes National Park in the San Luis Valley is seen in the distance. Heading up Cottonwood Pass. The dirt road going up it can be seen in the right picture. Great fun with a Jeep. 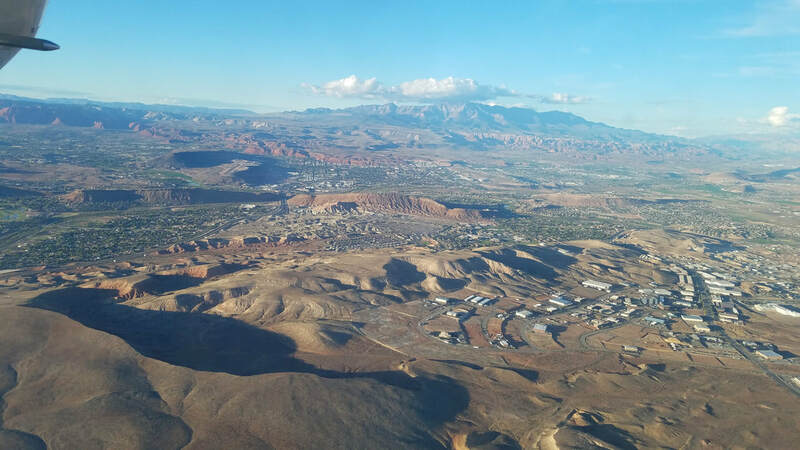 This was my favorite part of the flight... so close to the mountains! 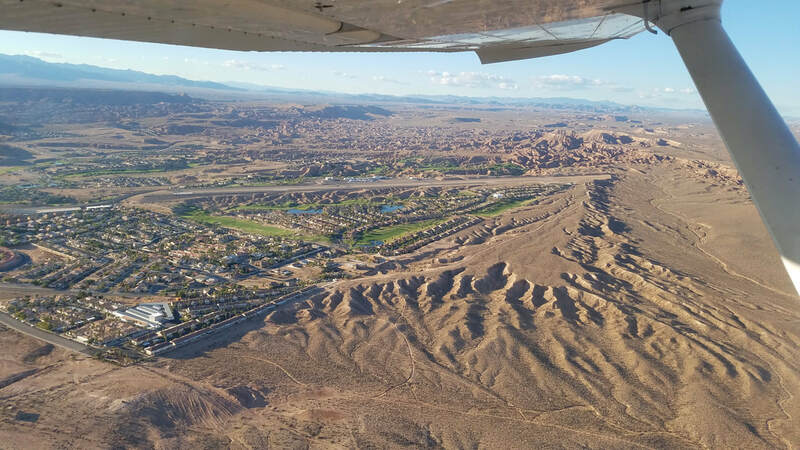 We flew a C182RG instead of a C172 and, boy, did it make a difference! The 182 could climb without constraints. No need for S-turns or circles to gain altitude. Not as much need for multiple alternate or escape plans, either. Devil’s Head Fire Tower really caught my attention during flight so, after lunch, I drove the dirt road to the trailhead and hiked up to it to admire the views from a different angle. It was actually pretty cool to see an area from two different points of view in the same day, with similar weather conditions. I say similar because, by the time I made it up, the wind was, as expected, blowing quite a bit. I tell you… I’m not afraid of heights but walking up those stairs without backing (pictured below) made me a little nervous with that strong wind blowing us everywhere. Someone did lose a hat, haha. - In 1907, a 10'x12' tower was constructed on top of the highest rock at Devil's Head. That same year, a small but comfortable cabin was built at the base of the rock (200 ft down from the tower). - The fire lookout/tower was situated strategically to spot forest fires. 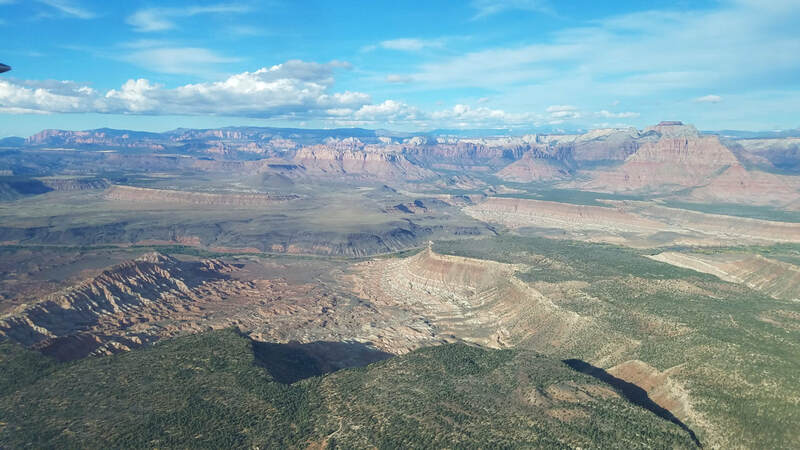 The tower provides 360-degree views of more than 100 miles in every direction. - From 1919 to 1921, Helen Dowe worked as a fire lookout for the newly formed U.S. Forest Service. - In 1951, the original tower and cabin were replaced by the Army Corps of Engineers using 72 pack mules to haul equipment and supplies up the mountain. The fire lookout still lives in the cabin. It doesn't have running water but it has electricity for cooking and heating. Flying the Colorado Rockies, with 53 mountain peaks exceeding 14,000 feet and more than a dozen interesting airport choices, can be a thrilling experience but it is certainly a challenging one as well and one that can pose hazards and risks for unexperienced pilots (those without extensive mountain or local Rockies experience). 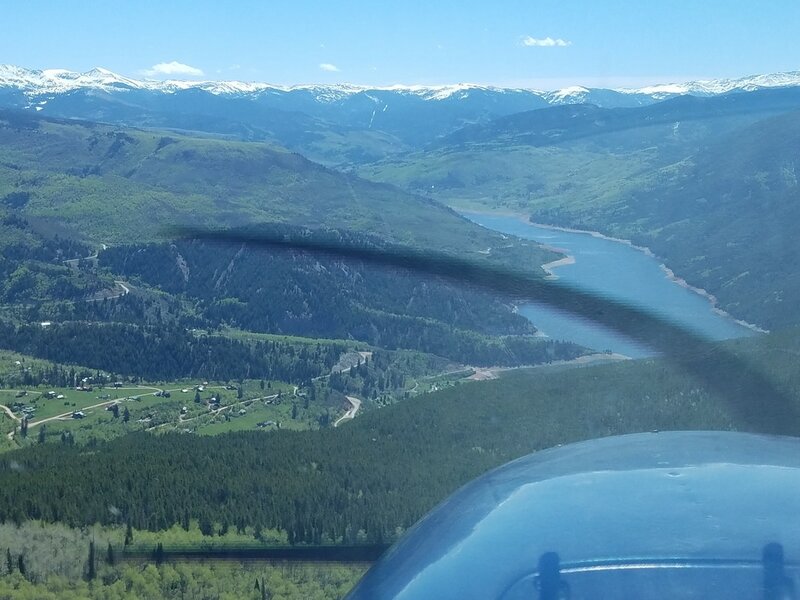 Mountain flying training by a highly experienced and knowledgeable local CFI is truly a must. 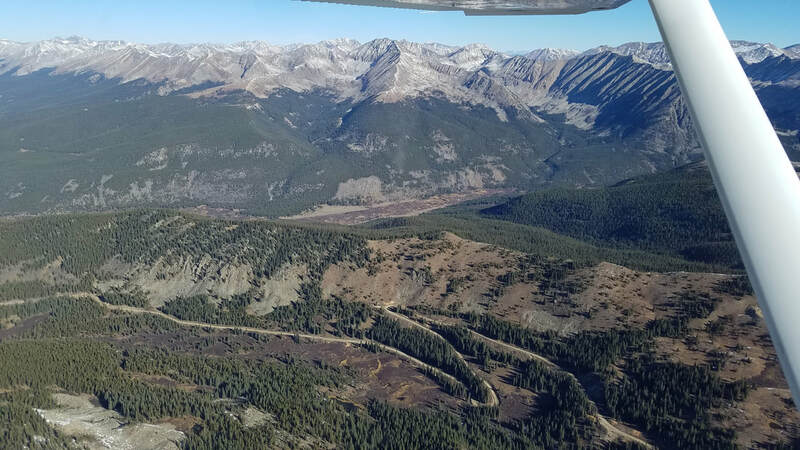 The majestic Rocky Mountains challenge density altitude, test aircraft and body performance, and have unpredictable weather which can change rapidly. As with other highland climates, the climate changes with increasing altitude. In general, the Rockies have mild summers, cold winters and a lot of precipitation. In the winter there is deep snow, high winds, and sudden blizzards are common. 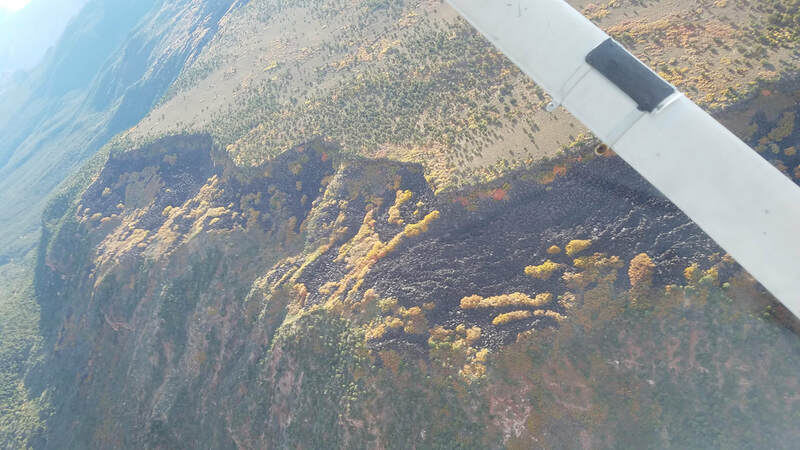 So, April 15 to October 15 is the best mountain flying season. A recent temporary work assignment to the Denver area was the perfect time for me to give it a try. 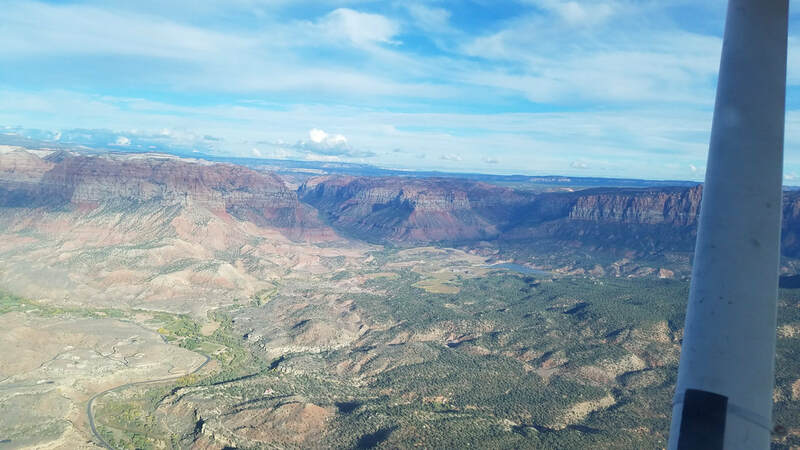 I have flown in the mountains of California, Arizona, New Mexico, Arkansas, and Switzerland before but the Colorado mountains was a completely different animal for me. Actually, I would venture to say that a combination of narrow and sloping runways, one-way airports, very high density altitudes, and unpredictable and abrupt weather changes will put any pilot’s abilities and skills to the test. 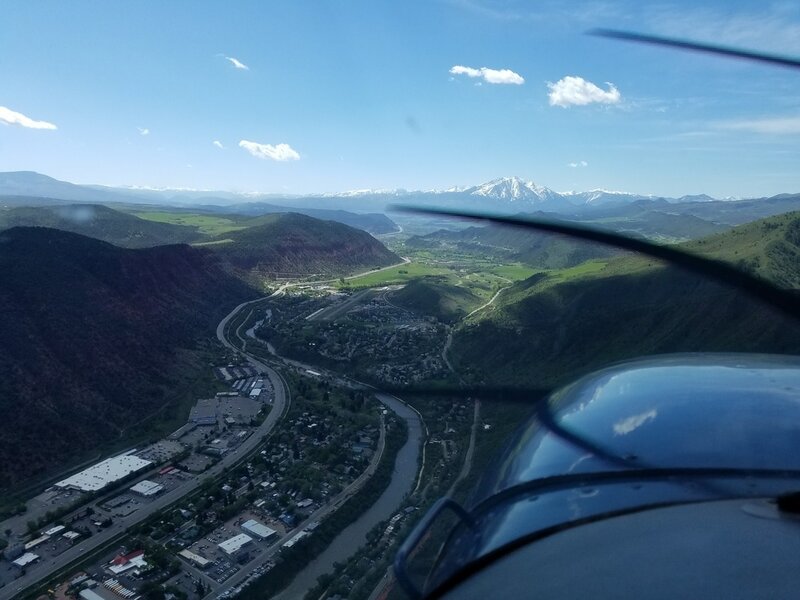 I took a one-on-one mountain flying course (ground school and actual flying) with Tim Sale (pictured below) through the Front Range Flight School at, you guessed it, the Front Range Airport (KFTG). Density altitude and its effects on engine performance, propeller efficiency, and overall degradation of aircraft performance (longer takeoff and landing distances, reduced climb performance, increased turning radius, instrument inaccuracies, etc) with altitude increases. I even learned about the Koch Chart. 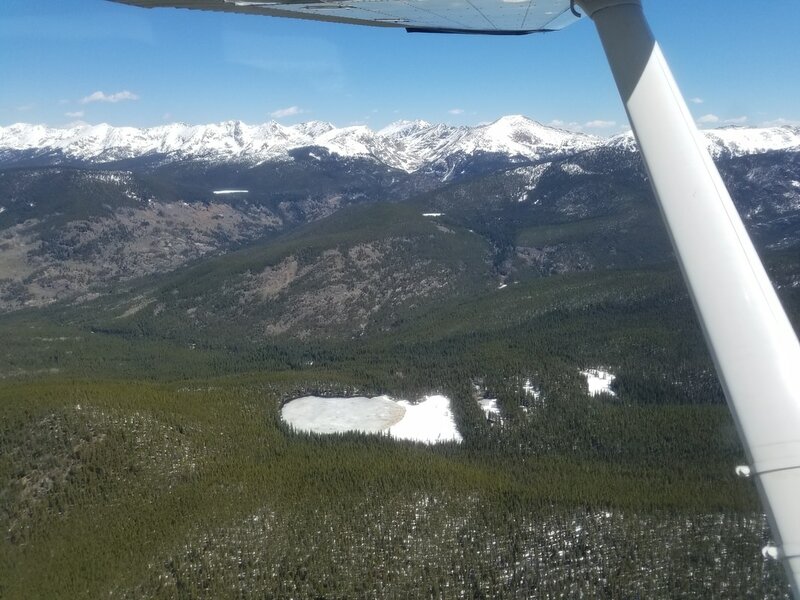 The route: Front Range Airport (KFTG) – via Rollins Pass – Granby-Grand County Airport (KGNB) – Kremmling VOR (RLG) – Snow VOR (SXW) – Glenwood Springs Airport (KGWS) – via Hagerman Pass – Lake County Airport (KLXV) in Leadville – back to KTFG. The following file shows our actual flight track (location, altitude, speed, etc on the Google Maps platform). ​Following the ground school, I put together a one-pager with handy route information that I could have on my kneeboard, such as weather frequencies, altitudes, pass information, Remote Communication Outlet (RCO) frequencies, etc. It came particularly handy when in turbulence. ​The day arrived! :) Now to put all the wonderful theories to practice. Before starting up, I used an oxygen meter I always have with me when I fly at high elevations (and that you can buy at any pharmacy) to see what my “normal” oxygen level on the ground was. Turns out I was at 98%, which at I’ll take at 5,512 feet. The idea was to continually compare it to my oxygen levels up at altitude throughout the flight. 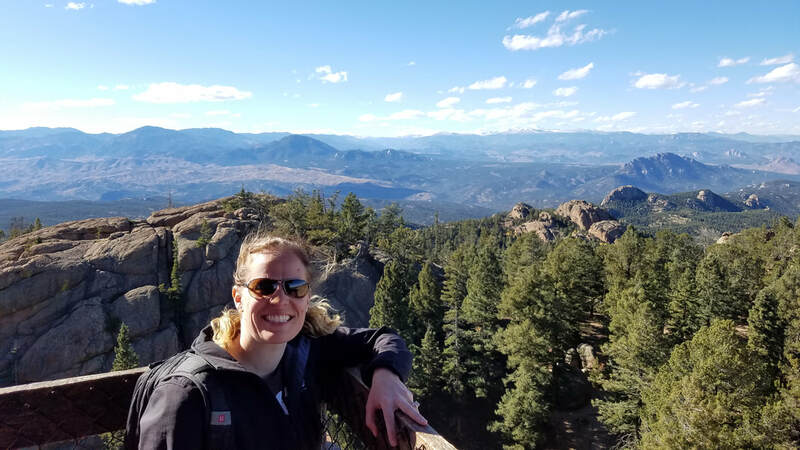 My husband Jared and I had the opportunity to experience hypoxia in NASA’s high altitude chamber in Houston and learned that we really could not identify our symptoms before completely passing out. You can read more about it here: NASA’s Physiological Training. I figure trend information in an oxygen meter is the only real way I have to try to stop myself from actually experiencing hypoxia. I will go ahead and mention here that my oxygen levels fluctuated a bit and even got below 90% at one point but I drank a little bit of water and did fine. No headache, no light headiness, no tunnel vision, no apparent skill loss, etc. Lean the mixture to its optimum location. 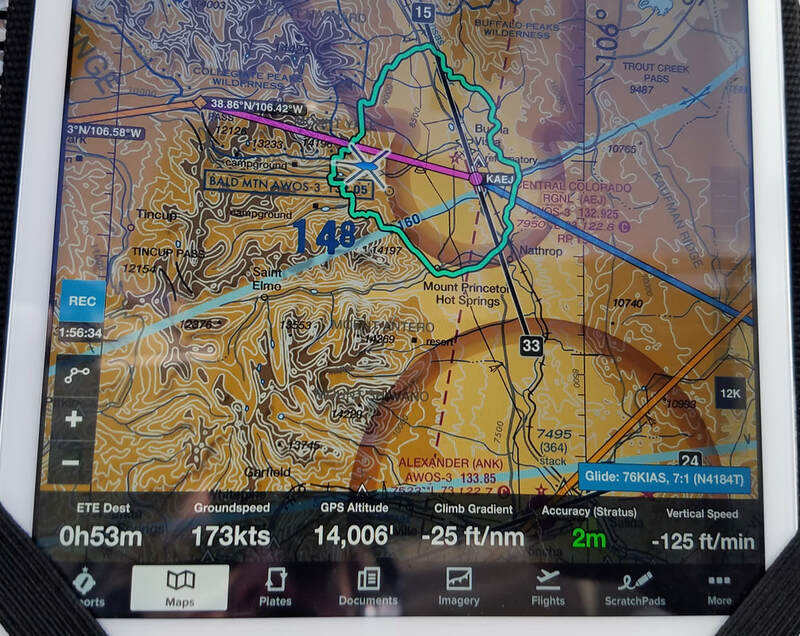 In a 172 like the one we were flying… set it to about 2,000 RPMs, lean it slowly until you see a loss in RPMs, and bring it back up to its maximum/optimum setting (that point where you stop seeing an RPM loss). I was actually surprised it really did not take much leaning compared to other aircraft I’ve flown in the past. Note ground roll. Abort if not per the plan! 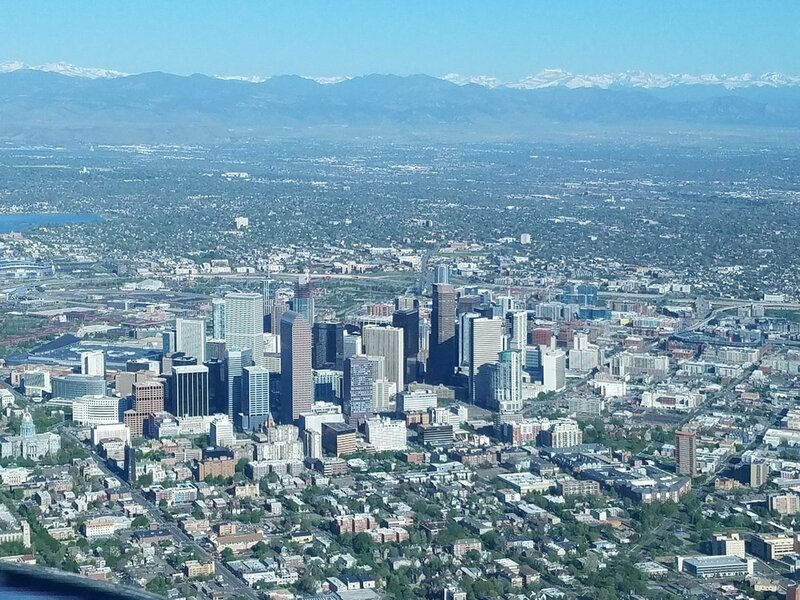 ​KFTG is just southeast of Denver International Airport (KDEN) so a departure to the south was necessary to avoid KDEN’s airspace. 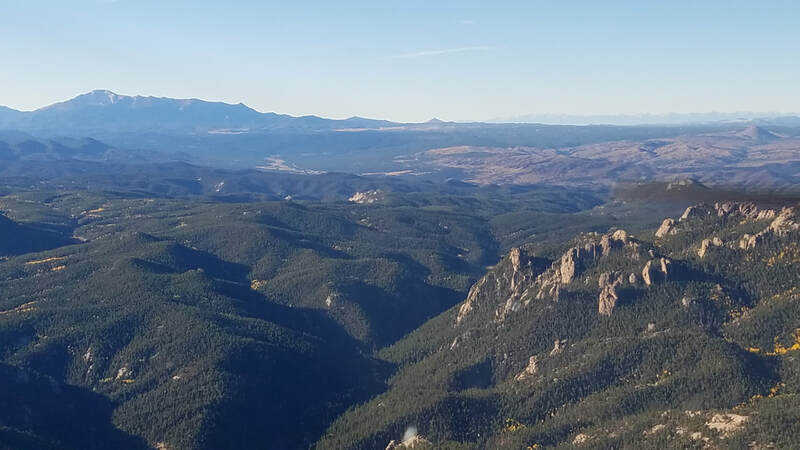 From there, we flew west just south of I-70, obtained a transition through Buckley Air Force Base (KBKF) airspace, flew just south of downtown, and up southwest/west of the Rocky Mountain Metro Airport (KBJC). 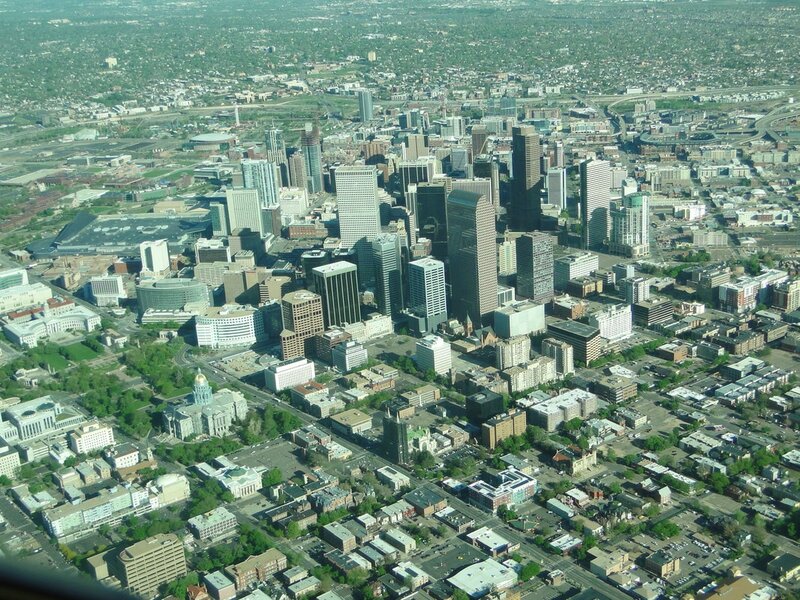 Flying so close to downtown was pretty cool. We got to see the Capitol and Civic Center Park, all the office and residential (mostly high rises and lofts) buildings, the Platte River, Cherry Creek, the amusement park, and all the sports stadiums. 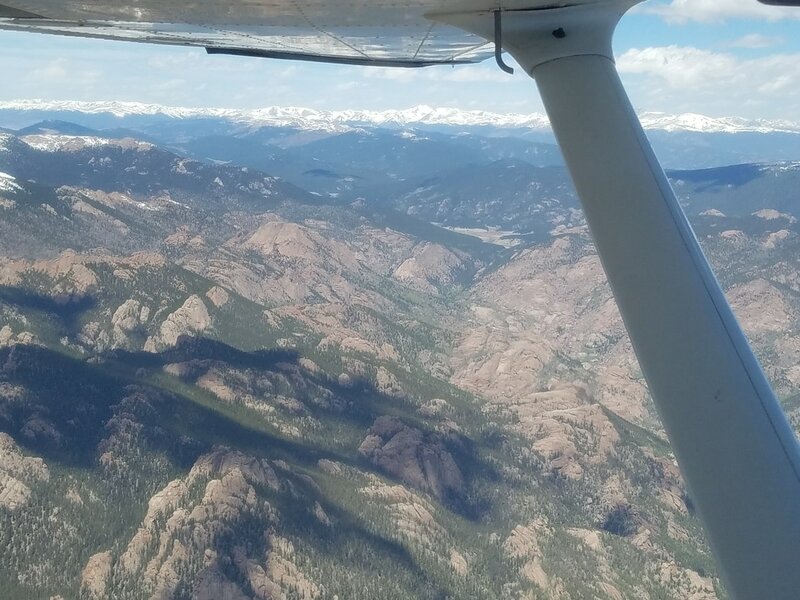 ​Leaving the beautiful Boulder Flatirons (pictured below) on the right wing, we started our journey through and over the Rockies, quickly putting my “new” knowledge to work, finding some thermals, and doing a couple of 360s to gain some altitude. 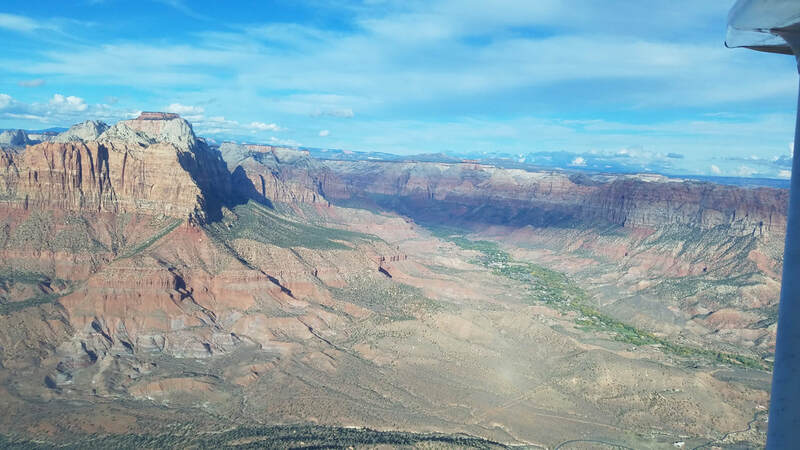 ​The scenery was spectacular throughout the entire trip: lakes (frozen and not), snowcapped peaks, completely snow covered mountains, ski resorts, a few 14ers (mountains with peaks at least 14,000 feet high), red rocks, cute little towns, mountain passes, rivers, and canyons among other geological features. 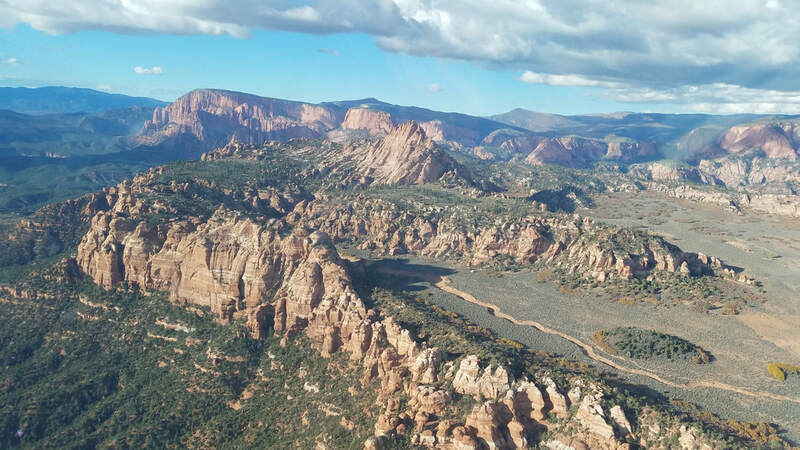 And, as an outdoors lover, it was a great opportunity to scout out future (ground based) adventures, such as Jeep trails, hiking trails, rafting, train rides (such as the California Zephyr that runs from Chicago to California), etc. Granby was a good, easy first airport to visit. No major challenges besides the elevation. 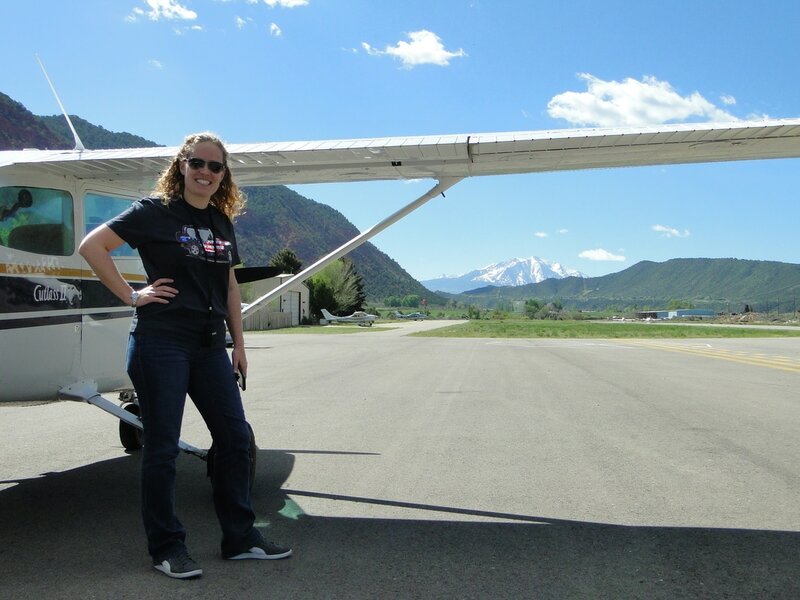 We did not stop at Kremmling-McElroy Airfield (20V) but we did fly close to it. 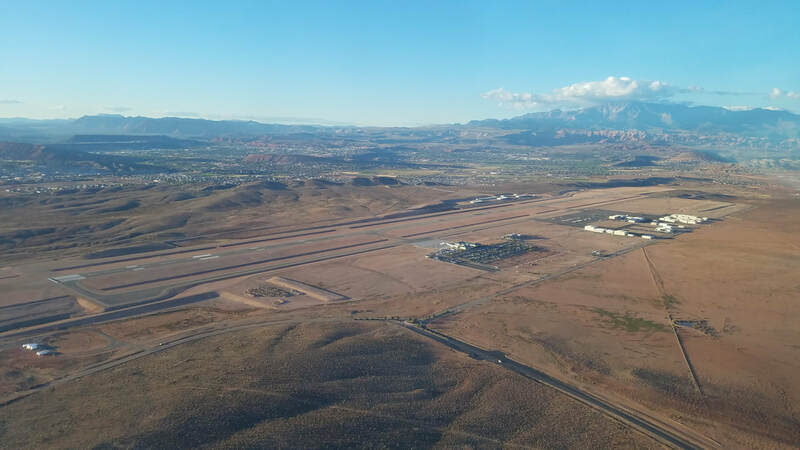 If you use Runway 27, it looks like you need to make a decision since it’s right traffic and there is a pretty good size hill/mountain just northeast of the runway, as shown in the picture below. ​We also saw the Kremmling (RLG) VOR in the distance, on top of a mountain. I apologize; the picture is a little blurry. We then followed a canyon adjacent to the VOR. It was pretty cool seeing it directly below us. 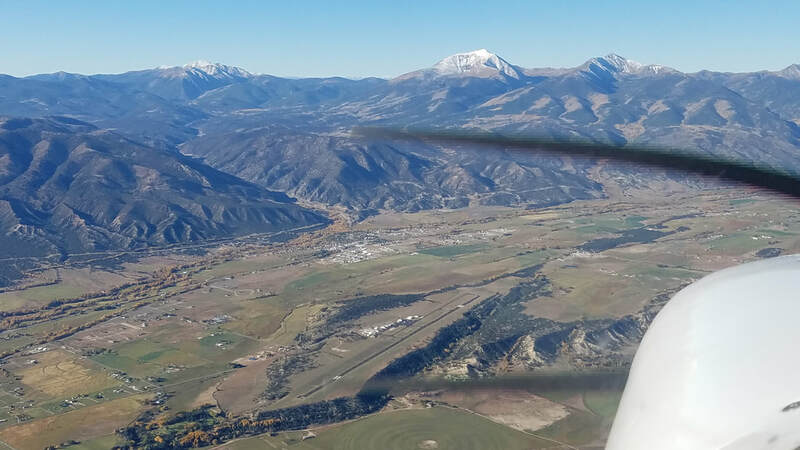 The route took us over Eagle County Regional Airport (KEGE) where the tower controller asked us to do a 360 (turn) to allow for a Learjet to depart. It probably wasn’t necessary but we, of course, complied and enjoyed the scenery that much longer. 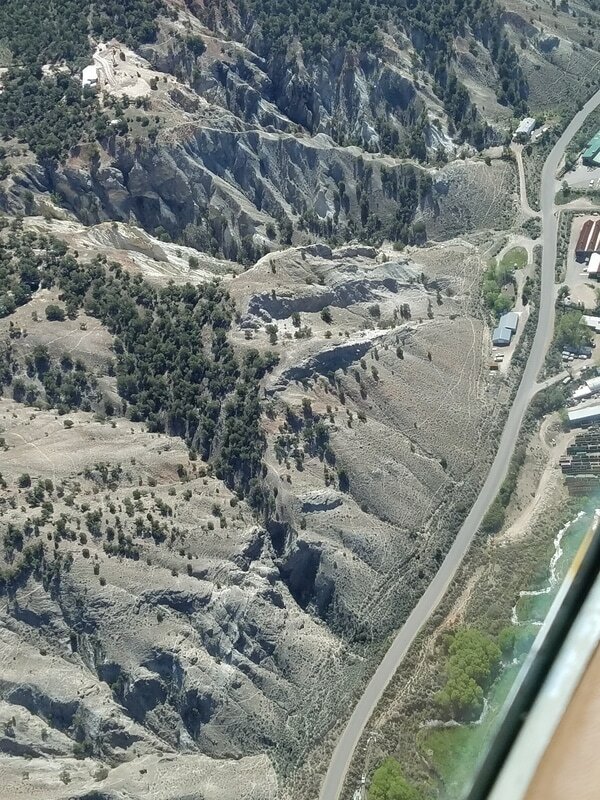 ​And… my favorite Colorado (to date) airport, ladies and gentlemen – Glenwood Springs Municipal Airport (KGWS)! 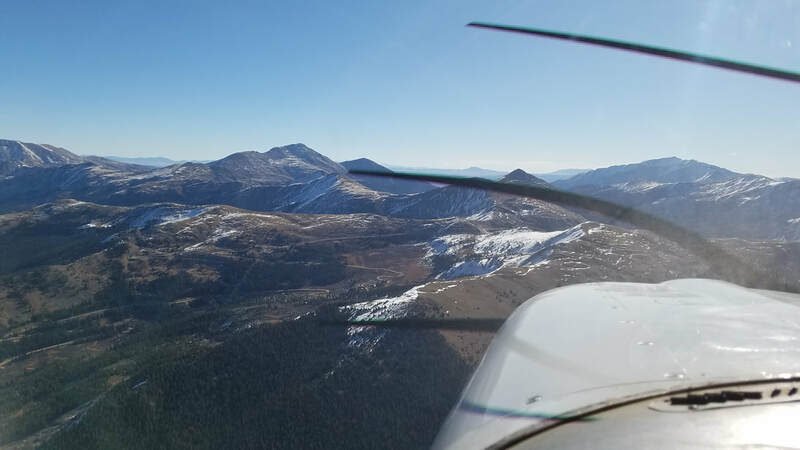 With a whopping 3,300’x50’ runway (I’m told the shortest in the great state of Colorado), at 5,916 feet MSL, and surrounded by close-in mountains and hills, this is a sporty choice. But you have to find it, first. 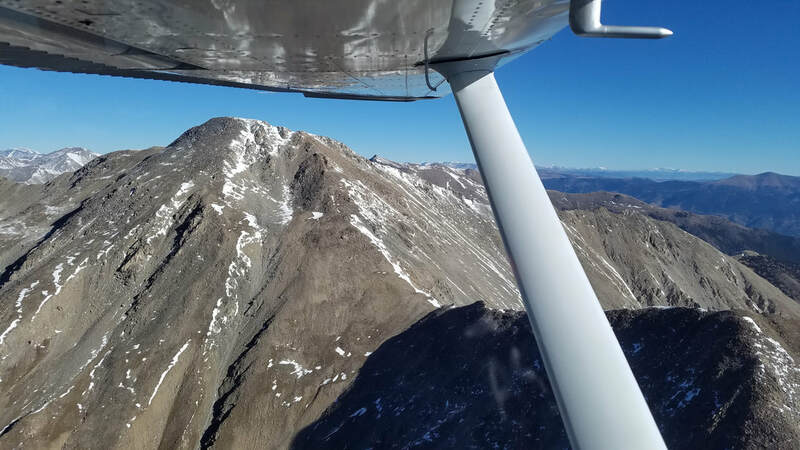 When flying from the east, the mountains block the views of the Airport until you are almost right over it so I had to trust the GPS (and my instructor who knew exactly where it was) and head over the top of it. Once closer, another pilot called a left downwind for 32. I saw her before the Airport. We followed as #2 for landing. While the Airport requests Rwy 32 for arrivals and Rwy 14 for departures, when wind and weather permit, to try to prevent aircraft from flying over town, the winds were definitely favoring 32 so everybody was using 32 for both arrivals and departures. 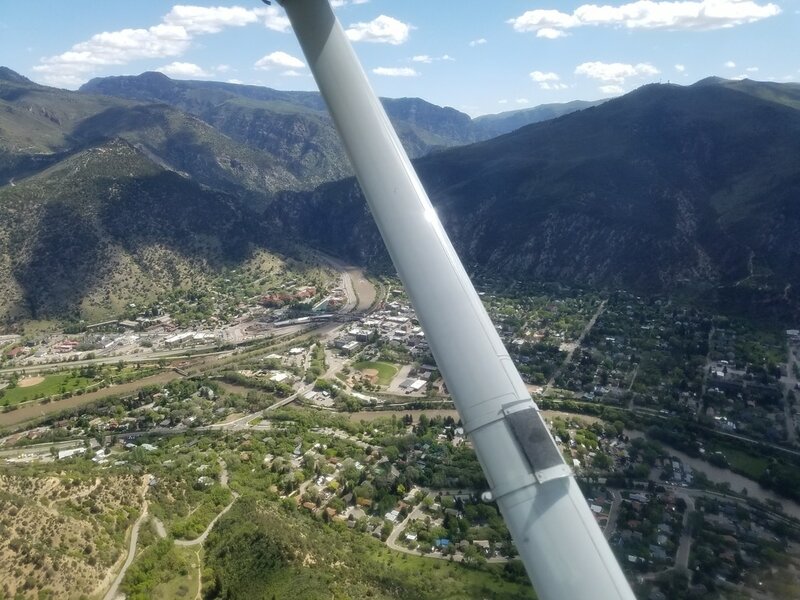 So, upon departure, that meant flying just west/to the left of town, hugging the mountains/canyon on that side while gaining enough altitude and turning radius to turn around, fly by Glenwood Springs again, and head southeast towards Leadville. The route between these two towns also took us through some beautiful scenery and around/between some high peaks. 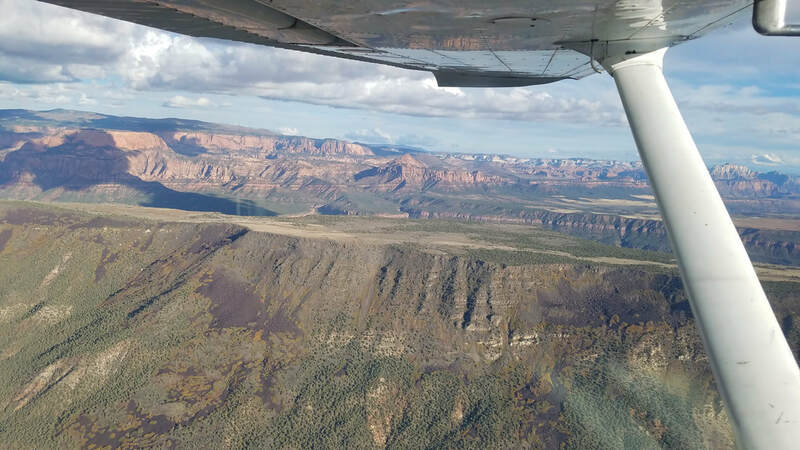 We started by flying over Highway 82 to Basalt via Carbondale, then following the Fryingpan River (as shown on the picture below), flying just north of the Ruedi Reservoir (pictured below) and going over Hagerman Pass and Turquoise Lake (also pictured below) at which point we got KLVX in sight. The approximate trail elevation on Hagerman Pass is 11,960’ MSL. 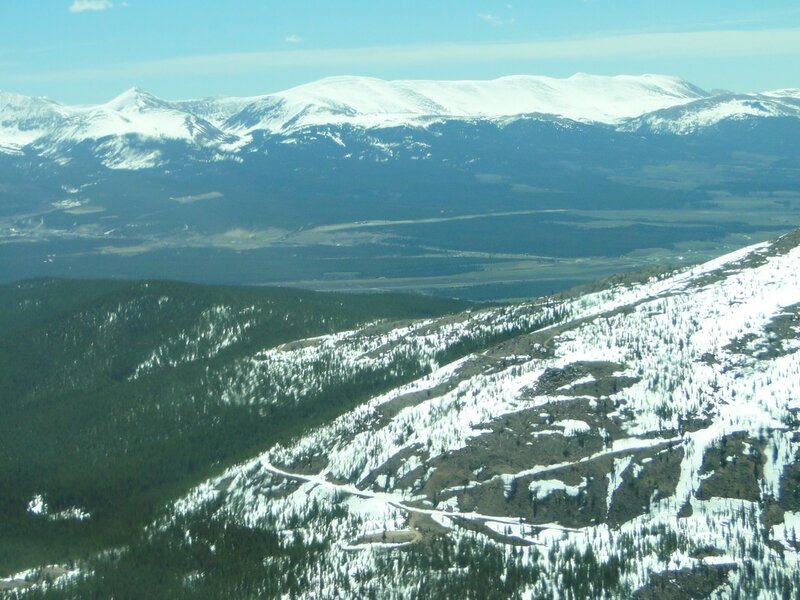 This pass is visible to the weather reporting station at Leadville. Elevation, terrain features, and weather often favor this pass over Independence Pass. You know!? 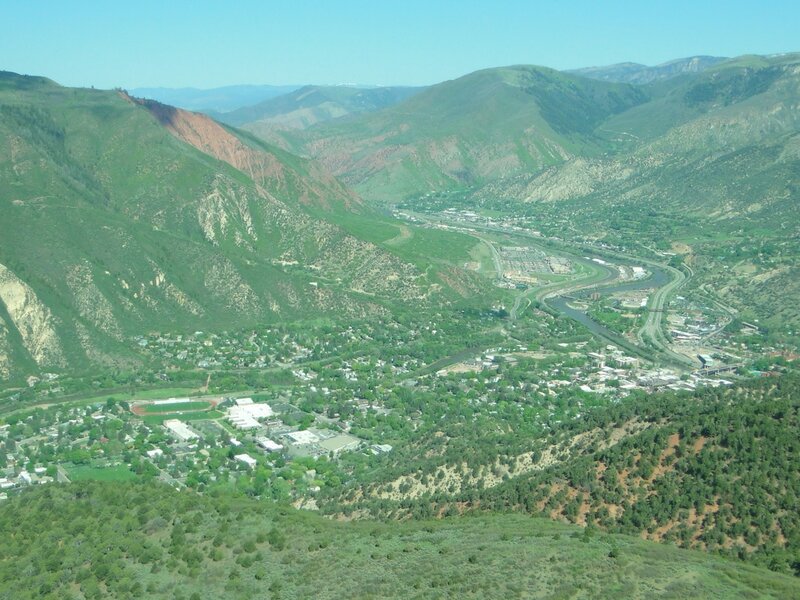 Everybody gets excited about flying into Leadville and getting the famous certificate (and maybe a T-shirt or a hat) since it’s the highest elevation airport in North America at an impressive 9,934 feet but I personally did not think it was as cool as Glenwood Springs. Why!? It’s in a pretty open valley so, aside from the density altitude challenges, there are no obstacle challenges. Its runway is also almost double its length (6,400’). We did a right pattern for runway 16 and my approach and landing was at a much faster airspeed than normal because my true airspeed (TAS) was much more than my indicated airspeed (IAS) but, of course, I had to go by the IAS because that’s all I have in the aircraft to rely on. So, it goes without saying that I floated for a bit over that runway before touching down. It was quite weird. The last leg was probably the easiest of the three, which was intentionally designed that way by my instructor to test my new knowledge and skills. In the actual track map, you may see that I may have taken the safest way back but that was mostly because the winds were starting to pick up (per the forecast) and I didn’t want us or the aircraft to get beat up by turbulence close to the mountains. Been there, than that and it’s not too pleasant after a while. Seeing the Twin Lakes just west of our route was probably my favorite sight. They were absolutely gorgeous and postcard perfect! ​We were often pretty close to mountains (on their “right” side based on winds to take advantage of their uplifting capabilities) but we always thought about our outs in case of emergency, downdrafts, etc. In the picture below, for example, our out was clearly to turn right and go down to the valley. The landscape changed quite a bit southwest of points A and B on our actual track. It was a more arid, red rock type landscape. It was particularly beautiful due to the contrast with the snow peaks alpine mountains in the background. 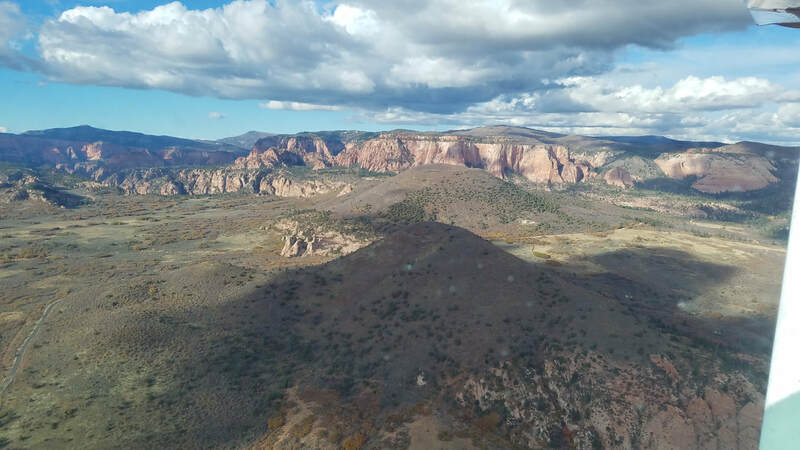 ​Once approaching Denver, the flight over Roxborough State Park (and having Chatfield State Park just to the north) was pretty neat, especially after having hiked all over the park the day prior. - Be careful with mountain passes. They are easily identified on sectionals but some mountain passes are more dangerous than taking a different route. 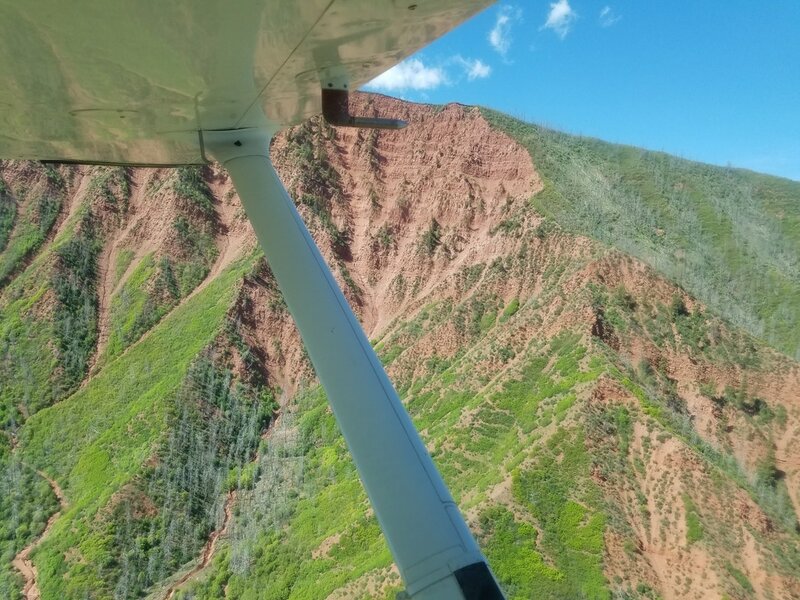 Don’t always assume that mountain passes are “safe” for GA flying. - And, similarly, be careful assuming that flying over highways or prominent rivers are safe places to fly over. Some of these features are not easy to follow with sharp turns and tight areas. 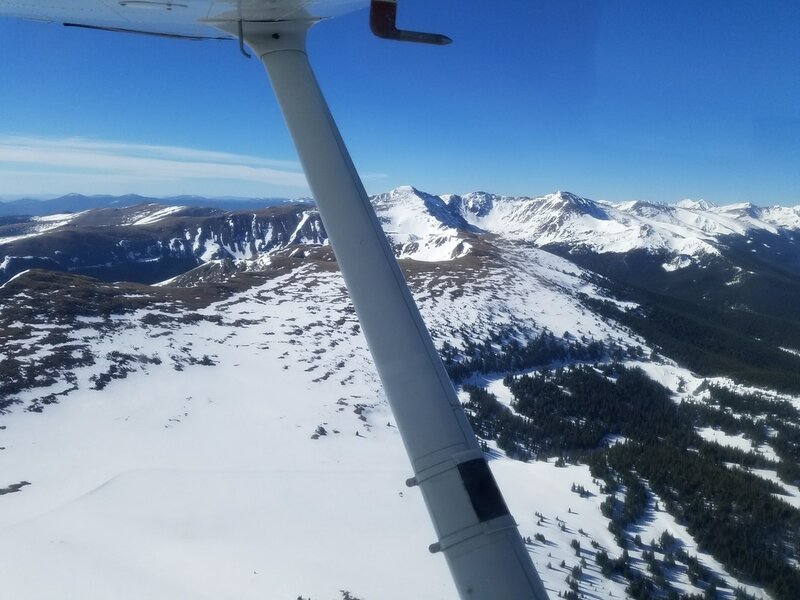 - The Colorado Department of Transportation (CODOT) – Division of Aeronautics installed and maintains 12 (with a 13th one in test mode) Automated Weather Observing Systems (AWOS) on critical mountain passes most vulnerable to weather-dependent aircraft accidents. These AWOS are extremely helpful as they provide mountain peak information otherwise not available. Thanks, Tim Sale, for great instruction and pictures!